PartyPoker and Bwin are launching “SPINS” with Special Edition games “SPINS $ 1M”, giving players the chance to become millionaires in minutes. All this with only $ 5! “SPINS” is a rebranding of the site’s popular “SIT & GO JACKPOT” tournaments, where players can win huge cash prizes for a relatively small buy-in. The “SPINS $ 1M” includes a random multiplier between 2 and 240,000 that is applied before the game starts to determine the size of the eventual prize pool. This means that players can win a prize pool of up to 240,000 times more than the actual buy-in. When the top-level multiplier is hit, players will fight for the first prize of $ 1 million, while second and third place will each win $ 100,000. Everybody is a winner in this case! The new SPINS games are part of the brand change, providing visual enhancements and smoother animation. The table below shows the prizes that can be won in every $ 5 buy-in game “SPINS $ 1M”. These prizes are all in the “Spins” tab in the PartyPoker lobby. Together with the exclusive YourPokerDream rakeback deal, the spins are super profitable. Team partypoker’s Sam Trickett said: “SPINS are quick, fun and easy to play – giving players of all levels the chance to turn a small buy-in into a life-changing amount of money. 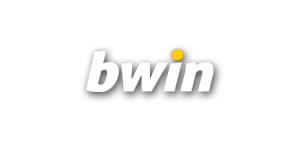 No account at PartyPoker/Bwin yet? 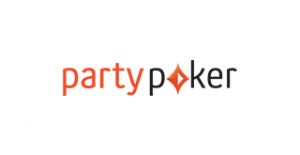 If you don’t have an account at Party Poker or Bwin yet, now is the best time to join. YourPokerDream can get you exclusive extras in form of promotions, extra rakeback, and access to private tournaments. It is important to know that these offers don’t include all the standard PartyPoker and Bwin promotions. Important: If you have an existing account, please contact our support team. In many instances, we are able to link your existing account to YourPokerDream; get you access to better bonuses/promotions and more rakebacks. In some cases, we also assist you in opening a new player account so that you can enjoy all our exclusive extras.